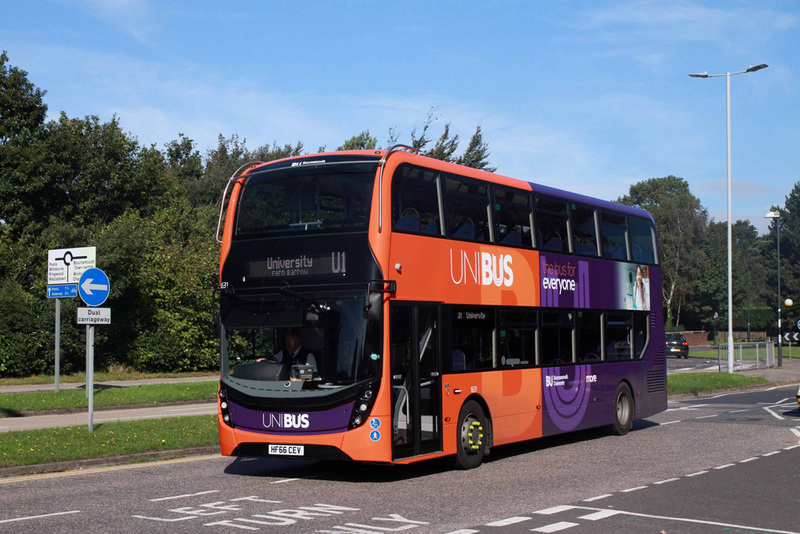 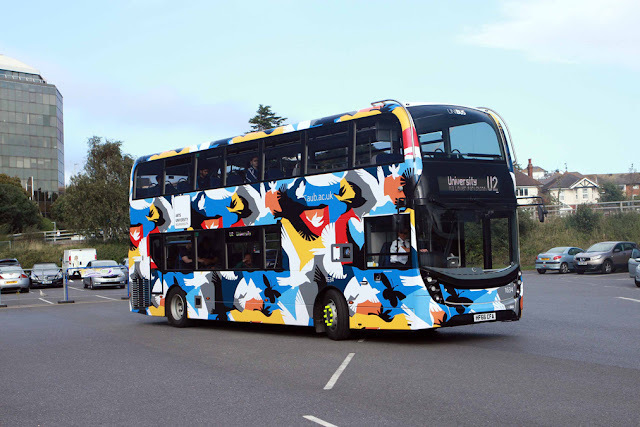 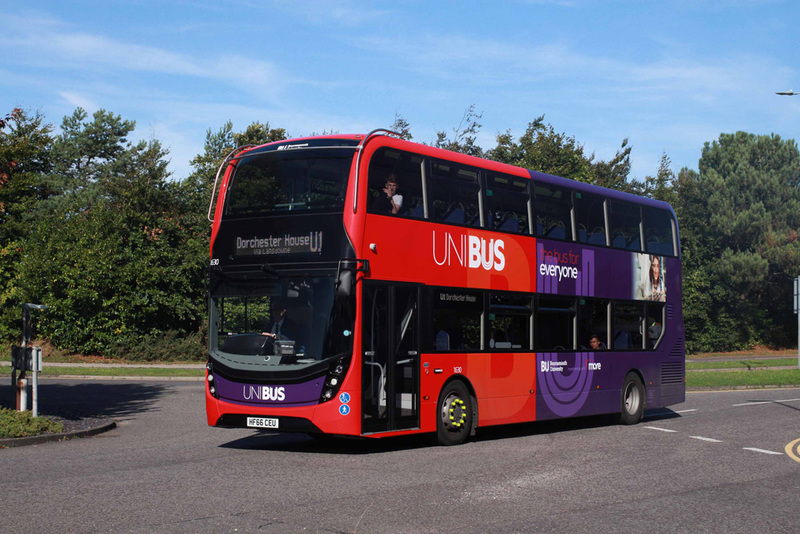 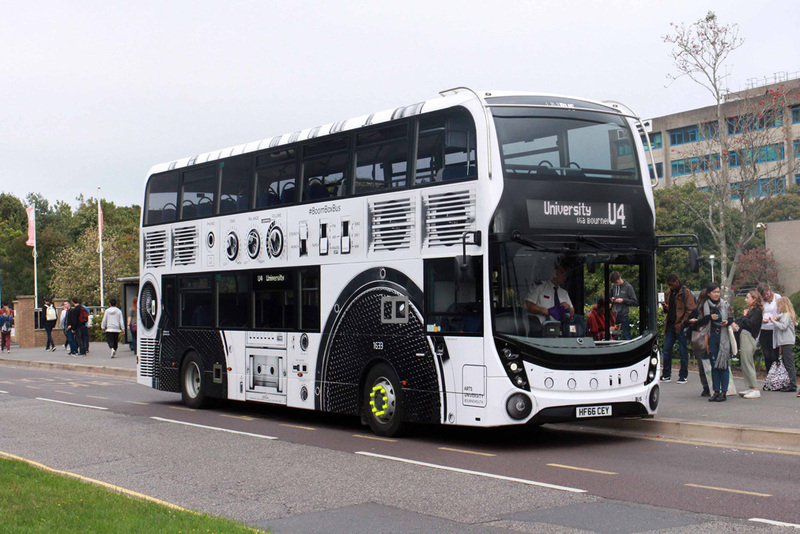 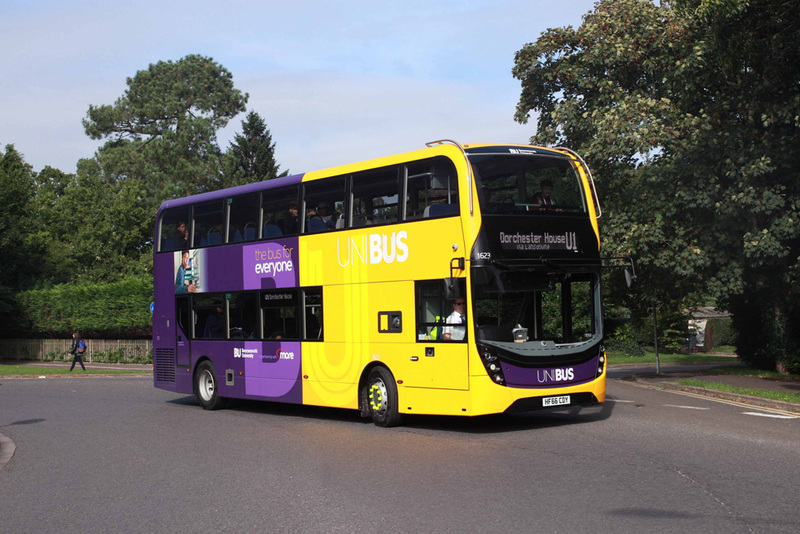 Twelve new Alexander Dennis E40D Enviro400 MMCs have now entered service on the four Bournemouth University routes operated by Go-Ahead South Coast. 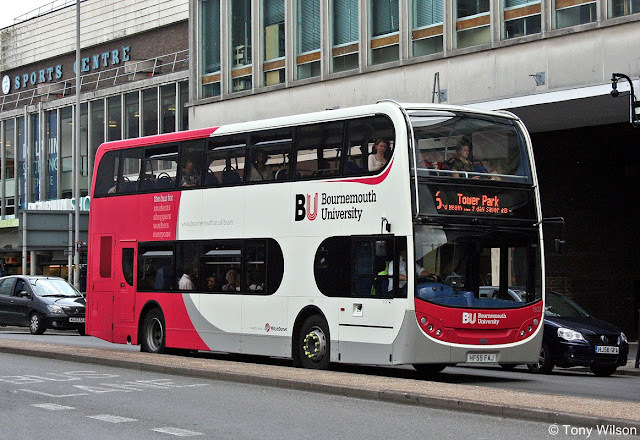 The first ten (1623-1632) have different coloured fronts, whilst the last two have designs produced by some of the University students. 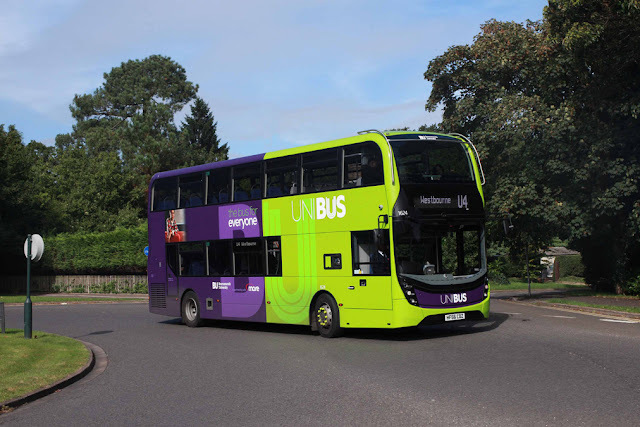 These variously coloured buses replace the previous livery as applied to a fleet of earlier ADL Enviro400 double-decks and some Mercedes-Benz Citaro G articulated single-decks.